Subprime mortgage lenders make home loans to "subprime" borrowers—people who don't have the income, wealth, or credit history to qualify for the traditional lending terms offered to prime borrowers. The recent housing slump pushed multiple subprime lenders into bankruptcy as a rising number of subprime borrowers failed to make their mortgage payments. As subprime lenders go belly-up and subprime borrowers fall on hard times, lawmakers have been quick to find signs of fraud and abuse, and quicker to propose new regulations for the subprime market. Events in the subprime market offer a glimpse of several issues behind the housing market correction in the United States. A recent New Yorker column by James Surowiecki explains the subprime fiasco. Surowiecki suggests that focusing solely on "predatory lending" practices does not suffice to explain the trouble in subprime markets. He notes that lawmakers cannot consider instances of lender fraud and abuse without also considering the "overambition and overconfidence of borrowers." For example, borrowers who expected sharp increases in home prices used the easy credit offered by subprime lenders to make speculative purchases—buying a home with the intention of selling quickly and for a substantial profit. 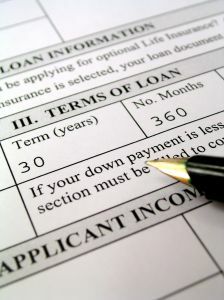 Other borrowers were enticed by low introductory interest rates and placed too much confidence in the ability of their future selves to pay the mortgage when the low rates expired and higher, adjustable interest rates kicked in. University of Chicago economist Austan Goolsbee calls for restraint in the regulatory backlash against subprime lending in his New York Times column. Goolsbee focuses on a research paper by three economists: Kristopher Gerardi and Paul Willen from the Federal Reserve Bank of Boston and Harvey Rosen of Princeton. The paper suggests that innovations in the market for home loans, including subprime lending, offer more upside than down. According to the authors, a government crackdown on subprime lending could reduce homeownership opportunities among young people, minorities, and people without a lot of money for a down payment. 1. What's a "liar" loan? How did borrowers use such loans to make speculative gambles in the housing market? 3. According to Surowiecki, what percentage of subprime borrowers were living in their homes and making monthly mortgage payments at the time the article was written? What does this suggest about the wisdom of an outright ban on "exotic" subprime lending products like the 2/28's? 4. In what way do subprime loans (such as 2/28's) benefit currently low-income households that expect to earn much higher income in the future? How do subprime rates reflect the fact that the expectation of higher future income is not a guarantee of higher future income? 5. What factors traditionally cause homeowners to foreclose? Do recent numbers suggest that subprime lending is the leading cause of foreclosures in the United States? 6. According to Goolsbee, what is the link between the expansion of subprime lending and the growth of homeownership among African-American and Hispanic households? 7. According to both Goolsbee and Surowiecki, the vast majority of subprime borrowers are making their mortgage payments on time. As higher, adjustable rates kick in on home loans with low introductory rates, how might the rates of delinquency (missed payments) and default (failure to pay the loan entirely) change? Suppose the housing market correction continues and home prices continue to fall. How will this affect the bets of speculative borrowers in the subprime market?